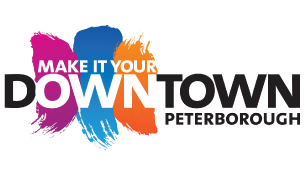 We are excited to commence our second year of the Downtown Vibrancy beautification project in Downtown Peterborough. Come along to learn more and be part of shaping this project. 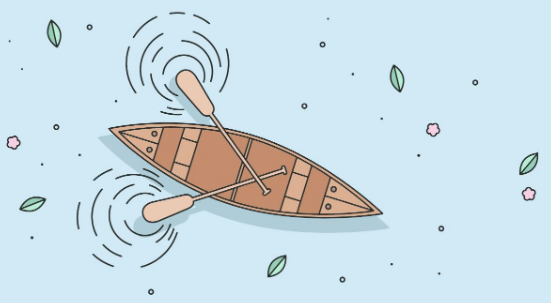 The Downtown Vibrancy Project led by the Peterborough Downtown Business Improvement Area (DBIA) is going to create a series of public art installations that will celebrate the Canoe, and highlight the local history of canoe travel and portage in Nogojiwanong. We are hoping to showcase the rich history of canoes and the portage routes of Nogojiwanong as well as the history of canoe making in Peterborough. Although the DBIA is the lead on this project, GreenUP is partnering with many other local groups including The Canadian Canoe Museum, Peterborough & Kawarthas Tourism, Peterborough Economic Development, Curve Lake First Nation Tourism, Hiawatha First Nation Economic Development, local artists, and community members. 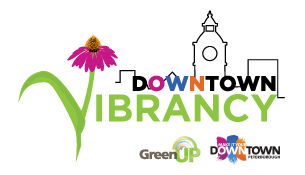 This group design charette will be led by Michael Gallant, chair of the Downtown Vibrancy Project, and we, as a community, will develop creative new ideas to bring life and direction to the project during this session. Food and drinks provided by Amuse Cafe.